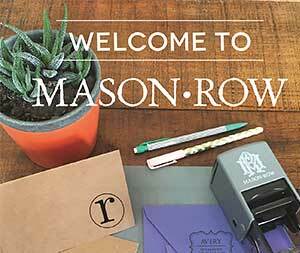 The Inspirational Stamp Set from Mason Row features 3 ready to use stamp designs and a certificate for a custom stamp design. Also included in the set is a storage tray for the stamp designs, a self-inking stamp and black ink cartridge. It’s a great starter kit – and makes the perfect gift!